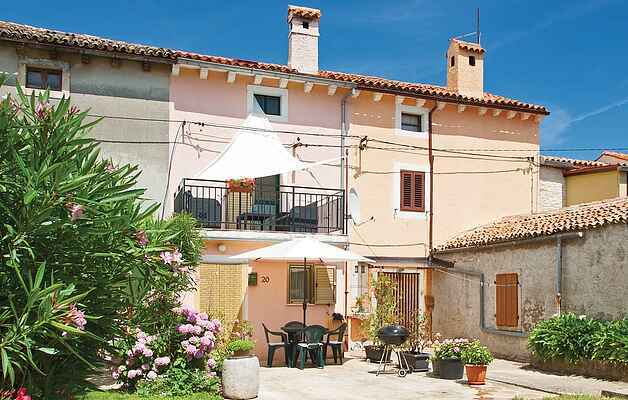 In the small and peaceful village of Cokuni is located this sympathetic terraced house. On the ground floor are the living and dining area with kitchen and a bathroom; while on the first floor is a bedroom from which you reach the terrace with garden furniture. The interior of the house exudes warmth and enchants with special charm. The nearest wild beaches are reachable by car and the tourist complex of Duga Uvala with various sports and entertainment facilities is about 7 km far away.